Begins on 07/08/2018, every Tuesday from 20:40 - 21:40. 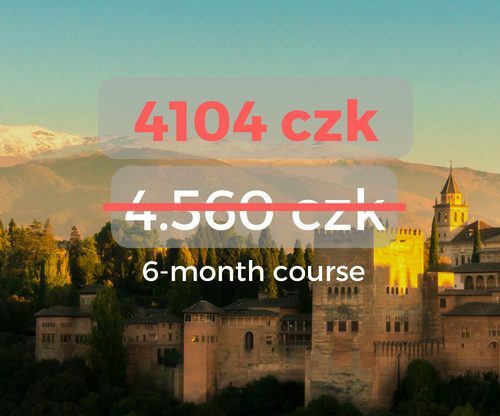 This course can be purchased at part of our monthly package for 4104 czk (171 czk / hour). Begins on 21-10-2017, every Saturday and Sunday from 14:30 - 17:30. This course is offered as a one-month package for 3.600 czk (150 czk/hour). Begins on 26/08/17, every Saturday and Sunday from 12:00 - 15:00. 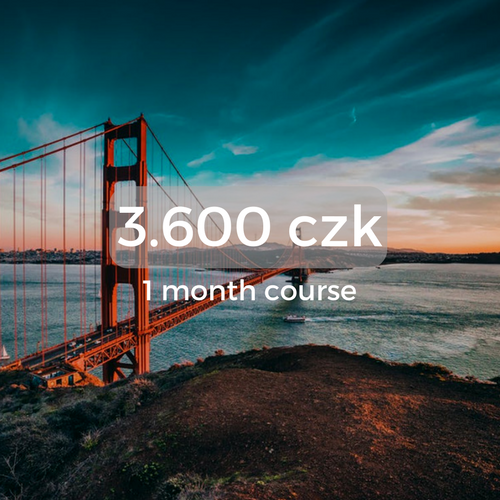 This course is offered as a one-month package for 3.600 czk (150 czk/hour).